Welcome to Morley Process Services. We are Court Document Specialists. 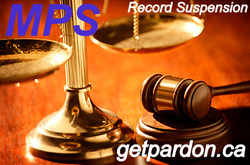 Record Suspensions & U.S. 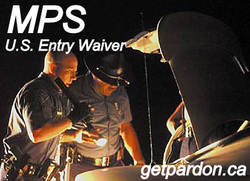 Entry Waivers. A Record Suspension can be obtained and that is why at MORLEY PROCESS SERVICES we will work hard to assist you in the process of your Record Suspension application. MORLEY PROCESS SERVICES has the training, experience and expertise to ensure that your Record Suspension application moves along smoothly and efficiently. When you present your passport at the border, a U.S. Customs and Immigration Officer can now scan the barcode on your passport giving the Officer access to your Canadian criminal record. For a person with a Canadian criminal record, it is an unfortunate reality that the United States does not recognize Canadian Record Suspensions (formally Pardon) which means you may need a U.S. 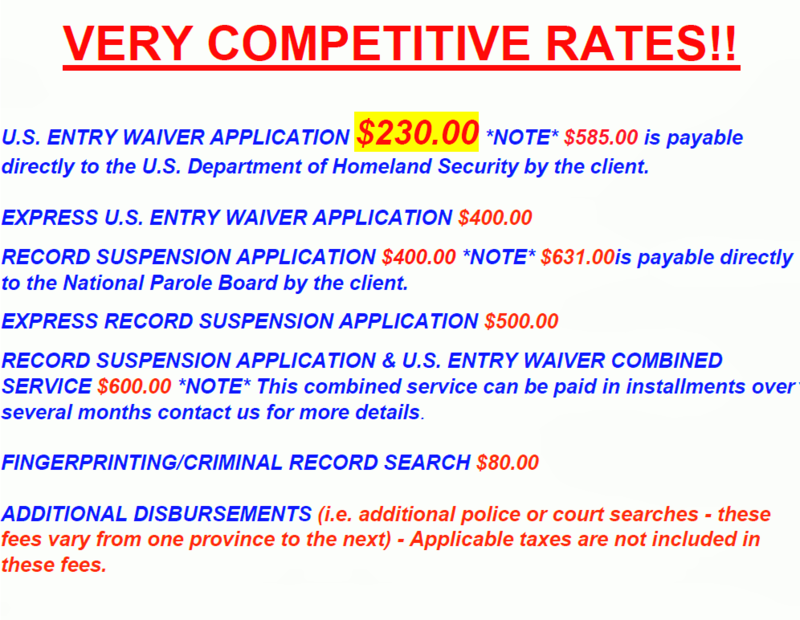 Entry Waiver to cross into the United States with a Canadian criminal record.